If you want to simply enter the computer without having to login, you can…You even choose which account you want to automatically login to.. When you login to windows you usually go to the login screen. On the login screen there a list of usernames that have an account on the computer. There can be one or more users that have an account on the computer. This is where you sign in to an account to use the computer. If you want to bypass this stage and just start using your computer straight way then the instructions below will help you. 1. Go to the start menu and choose run. If run is not there we will type into the search bar. 2. Type control userpasswords2 in the run box or search bar in Vista. 3. Select a user name by clicking on it once and making it blue. 4. Now untick the box that says Users must enter a user name and password to use this computer. 5. Now you must enter the user names password twice and press ok.
6. Press ok and exit the User account window. 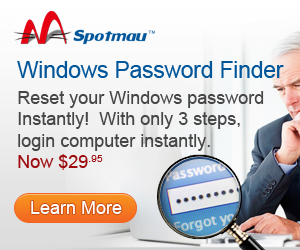 Why would you want to login to your user account automatically? There is nothing important on your computer. The computer is for a child to play games on. You want to access your computer quickly. You are the only user on the computer. You are not worried if anyone uses your computer. Obviously you can only automatically login to one user account at a time, therefore one username can only be set to automatic. To change which account you want to login to you must disable the previous one by replacing the tick in the box Users must enter a user name and password to use this computer. Just remember that if you set your computer to automatic login then anyone who turns your computer on can access your user account and all the files and folders. Thank you for the information…it was a great help!